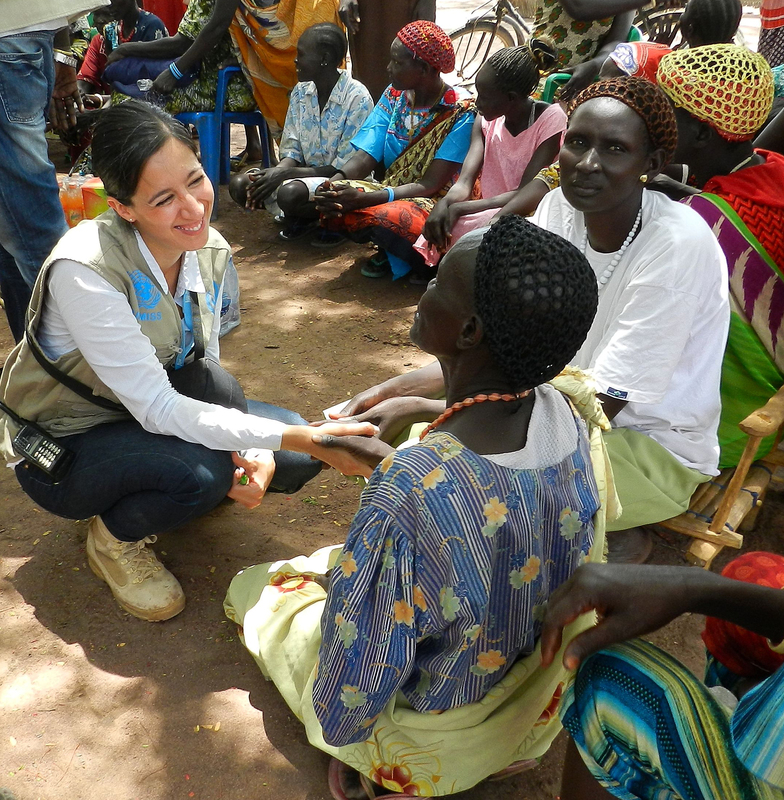 Serving as a UN Volunteer in South Sudan has made me more humble. It has made me aware of the many challenges people are facing around the world. This work has also empowered me. If I have been able to survive here for more than two years, and be happy, I think I can survive anywhere. Rumbek, South Sudan: As a UNV Human Rights Officer with the United Nations Mission in South Sudan (UNMISS), the main part of my assignment is to monitor, verify and report human rights violations as per the Mandate (2241, 2015). In 2014, I led the integrated (uniformed-civilian) emergency response of the Human Rights Division (HRD) in Rumbek during an outbreak of inter-communal violence, looting and a new and emerging trend of Conflict-Related Sexual Violence (CRSV) in communities in Rumbek East. At that time, I provided substantive advice and coordinated fact-finding missions, in collaboration with the relevant UNMISS, United Nations Country Team and cluster systems' components, to ensure proper documentation of human rights violations, appropriate and timely interventions, and other strategies for the protection of civilians, including the extraction and referral of CRSV survivors for medical and psychosocial support to properly address an extremely complex and sensitive conflict. The outcomes of the human rights fact-finding missions I led in Rumbek East were included in the 2014 Report by the Office of the High Commissioner for Human Rights (OHCHR) on South Sudan, and in the report of the Secretary General on Conflict-Related Sexual Violence as part of the UNMISS' human rights public reporting mandate. These contributions to UN reports drew public attention to intercommunal conflict and emerging CRSV, and raised awareness about CRSV and other forms of violence related to inter-communal conflict which affect women and girls and were not previously documented in this part of South Sudan. In December 2013, when the national security and political crisis erupted in South Sudan, members of ethnic minorities came to the UN compound in Rumbek seeking protection and shelter. The UNMISS mandate includes creating the conditions for the delivery of humanitarian assistance, so given the unpredictable security situation in Rumbek, the persons seeking shelter were received in the compound for protection, but UNMISS had no food to provide them. My colleagues from the Human Rights Division and I took the initiative to visit two or three local restaurants looking for support. One of the owners decided to donate food to the Internally Displaced Persons (IDPs) staying at our compound. I was very happy to be able to give the news. Among the IDPs was a group of students. They stayed in the compound for almost one year, and when they left we were very worried that they would join the fighting. Last October, during the UN Day commemoration at the Rumbek University, I met one of the students who had stayed on the UN compound. He told me he had just graduated, as had done many of the other students. None of them had joined the battlefield. It was extremely moving to hear that they had continued studying in these circumstances, and I felt proud to have been able to help them in some way. Bio: Francesca Tronco García (Mexico) is an International Human Rights Lawyer with a special focus on gender mainstreaming and women's equality. She has 14 years of professional experience in various fields, including within the United Nations Department of Peace Keeping Operations (DPKO) and the Office of the United Nations High Commissioner for Human Rights (OHCHR). She has a Master's Degree in International Human Rights Law and a Bachelor's Degree in Law.